This forecast was published 03/27/2019 at 7:12 AM. 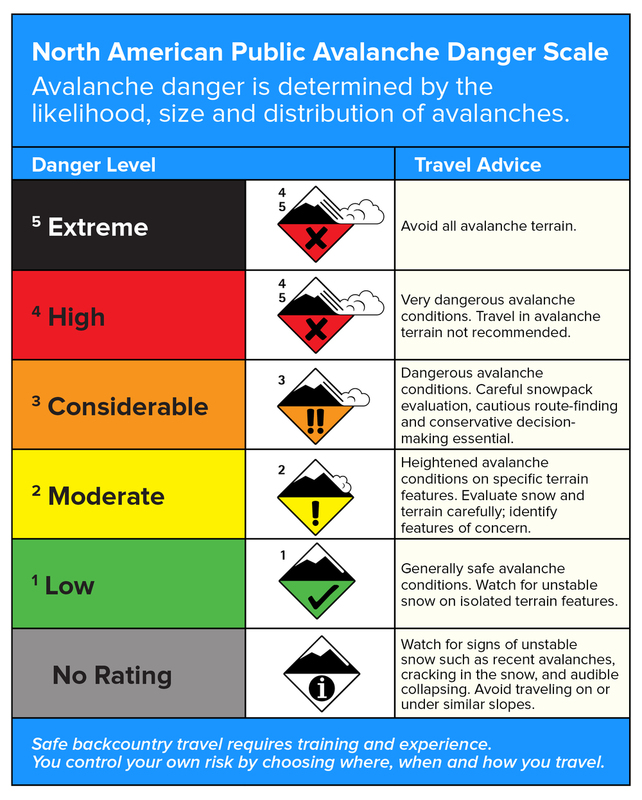 This is an archived avalanche forecast and expired on 03/27/2019 at midnight. Small wind slabs formed early in the week have become unlikely, but not impossible for a person to trigger. This is especially true where you find softer pockets of new snow that managed to escape the effect of the wind. With much of our snow pack firm and smooth, triggering a small wind slab could result in a consequential fall in steep terrain. Large, firm wind slabs formed this past weekend have gained strength and are also unlikely to avalanche, though still worthy of respect where you find terrain roll-overs: mid level in Oaks Gulf as an example. All forecast areas have LOW avalanche danger today with the exception of the Headwall in Tuckerman Ravine at MODERATE where you may find larger, thicker wind slabs formed from the recent new snow. Blue skies yesterday were accompanied by 50-60 mph NW wind and cold temperatures with the summit barely breaking into the single digits F. Today, we are welcoming another day of blue skies, this time with warmer temperatures and less wind. 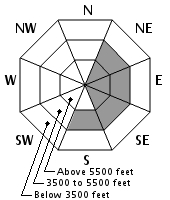 The summit should reach into the upper teens F with W wind at 15-30 mph. Tomorrow, a southwesterly flow of warmer air will push summit temperatures into the upper 20’s F, higher wind speeds and increasing clouds. The next chance for precipitation is expected tomorrow night with the possibility for 1-3” of mixed snow/sleet. One to two inches of new snow Sunday night at at upper elevations followed by 48 hours of strong westerly wind have created wind slabs on the east side of the range that are generally firm and unreactive. 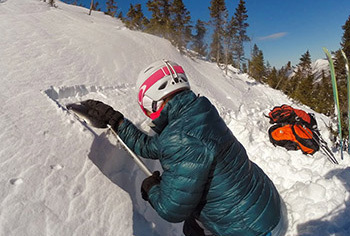 Wind sheltered terrain may contain small pockets of softer wind slabs that will be more stubborn than reactive, though these are limited in size and thickness. 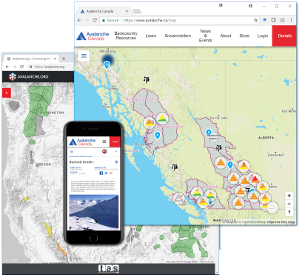 Large wind slabs formed Friday & Saturday have gained stability since the natural avalanche cycle and have since been unreactive to human triggers. Keep these hard slabs on your radar, particularly on steep, convex terrain features or over a thin spot in the slab. 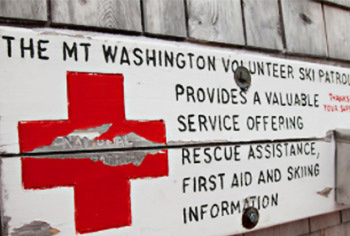 Just 5 days ago 20” of snow fell at higher elevations. Under increasing 50-70 mph winds, the new snow formed dangerous storm and wind slabs and elevated our avalanche danger to Considerable and High. 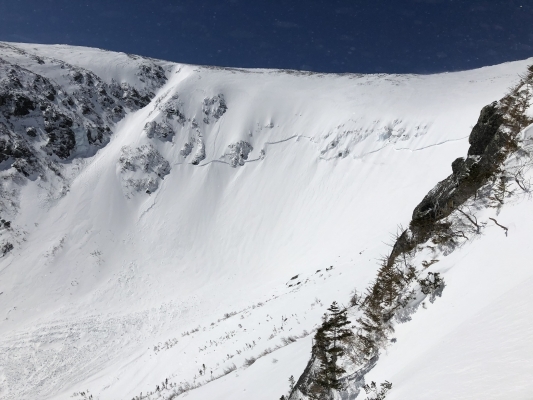 The new snow resulted in two natural avalanche cycles in the Headwall of Tuckerman Ravine and the Gulf of Slides with no other natural activity observed or reported. The elevated danger was short lived as several hours of intense NW wind late Saturday afternoon resulted in heavy scouring in some locations with stubborn wind slab elsewhere by Sunday morning. The firm (P & 1F) wind slab could be found to be several feet thick in some locations with little energy to crack and propagate. Human triggers are unlikely to trigger an avalanche in these older wind slabs. The roughly 2” of new snow that fell Sunday night was also impacted by several hours of 60-70 mph W wind, scouring and forming 1F to 4F wind slabs not observed at more than a foot thick. 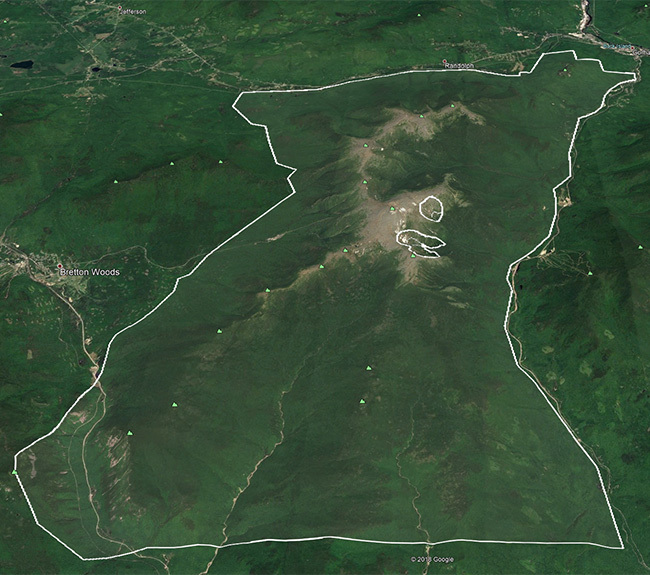 These new wind slabs appear to be well bonded to the existing snow pack. Today, we are at the start of what could be a spell of significant warming which may negatively affect the snow pack in next couple of days, especially at lower elevations. It has been a busy week! Posted 03/27/2019 at 7:12 AM.